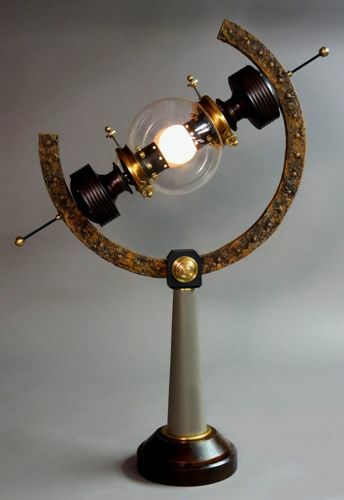 The 'Arc Light' features a unique and proprietary approach to the solar armillary sphere as illuminated device. A heavily rusted, riveted gimbal ring with matte gray maple, brass and rich mahogany details. Entirely hand painted. 40 watt bulb.